These Christmas sleigh bells take only minutes to make. 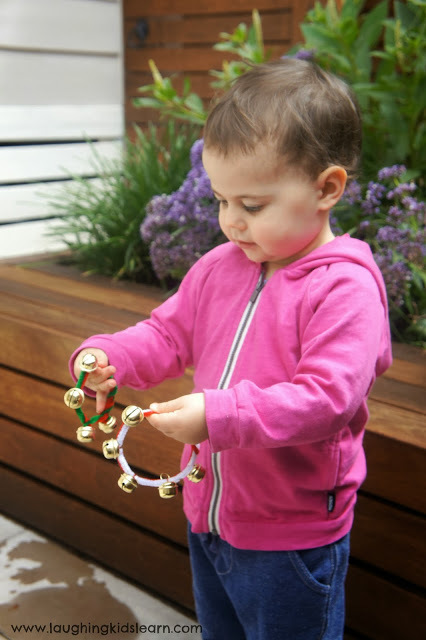 They can become great gifts and create a cheery sound when they are used by children. It will guarantee to put a smile on your face when you hear them. 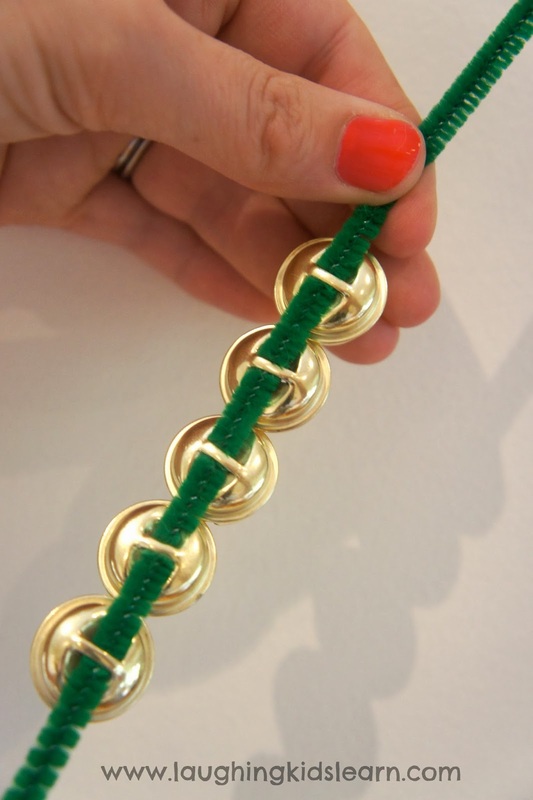 I recently came across a post by ‘My Nearest and Dearest’ where Ann had made some adorable little jingle bell bracelets and anklets with her kids. I knew that I had to give it a go myself as Possum would love using them to her new favourite Christmas song ‘Jingle Bells’. 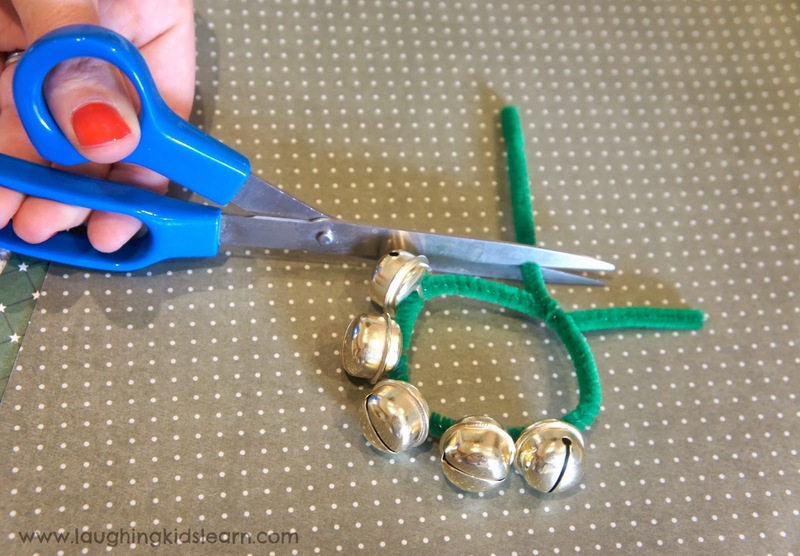 Simply thread the bells along the length of pipe cleaner stick. You can use as many bells as you wish to. I decided to use five bells as it seemed to suit the length of pipe cleaner and wasn’t too heavy for Possum to hold on her own. It is also your choice how close together you make the bells. 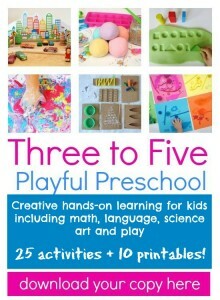 You can see how this craft would be wonderful for school aged children and help improve their fine motor skills. 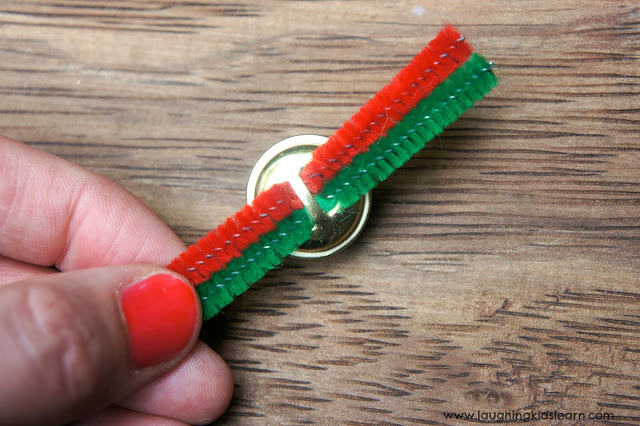 Bend the pipe cleaner around so the ends meet and twist to the desired size. Carefully cut off the excess pipe cleaner and wrap the ‘handle’ to make it nice and neat. 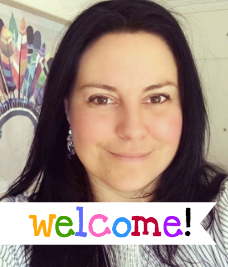 Of course you could also thread more than one colour! This is just one photo of many that I had of Possum playing with her sleigh bells. She loved dancing around the backyard and shaking them in the many ways that I described to her. Up high, down low, on your knee, on your shoulder, behind your back were all directions I gave Possum, which also helped to develop her body awareness, sensitivity to sound and improve her ability to follow instructions. Over these sleigh bells, which I made in only a few minutes, become great entertainment for her. 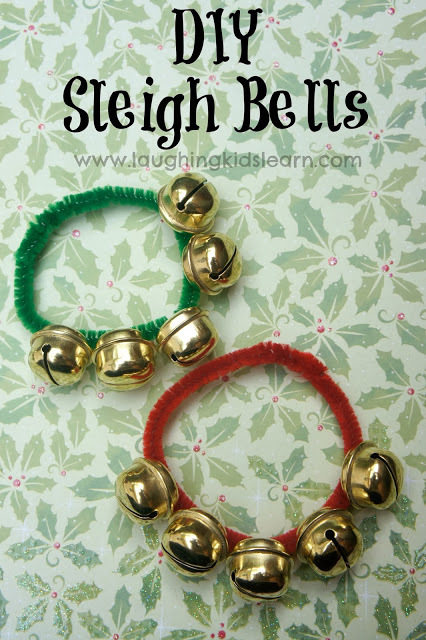 Would your children like making and playing with sleigh bells? 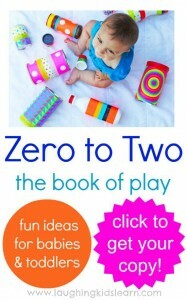 Be sure to check out my other Christmas ideas.